1. what’s your name, where are you from & how did you get involved with music? my name is CB010 hailing from South American Surinamese roots and experiencing life lessons in the city of Rotterdam, Netherlands. at the early age of 4-5 years i got injected with the music serum via my parents record collection. they played their records mostly on weekends and moulded my knowledge of the usual suspects: Stevie, Curtis, James, EW&F, Diana, Micheal, P-Funk and all sorts of soul. Pops introduced me to a lot of Led Zeppelin, Iron Maiden, Zappa, Ozzy and Bob Marley. when i was about 8 years old i took a first glance at my uncle’s homestudio. finally i was old enough to enter his room. the first thing i saw was a beat machine, i believe it was a Boss DR-55. pushed my wig back! from that day on i was in search of all the kicks, snares and hats i could find and knew i wanted drum lessons. 2. how did your particular track in the mix come about/is there a story behind its creation? i’m just going to dissect the beat and name the original samples. the bassline is from Ronnie Foster‘s “Mystic Brew“. i dont know what it is about minor key chords/notes but i just know that i love ’em. Tribe already sampled RF so i wanted to make it different from theirs. so the notes are chopped and replayed in a 1/8th pattern. the drums are stock sounds i believe. I tried to EQ them but sh*t this beat was made in 2008 i think and really, i didn’t give much about EQ-ing mainly because i just didn’t know what i was doing. the programming of the kicks also point out the fact that i was still trying to figure out how to lay out my drums. the kicks are all over the place! flute and guitarish sample are from Gil Scott-Heron/Brian Jackson‘s “Winter In America” record. i sort of tried to emulate Pete‘s usage of horns with the guitar sample hence the delay lol. vocals *uh* and *yeah* are from a friend of mine. instead of sampling James‘ grunts i wanted to do it myself. he recorded it in his phone, i made a copy of it in .wav and got it poppin’. 3. who or what inspires you to create? and how do you STAY inspired? my brother from another, beatmaker/MC BlackMagick. 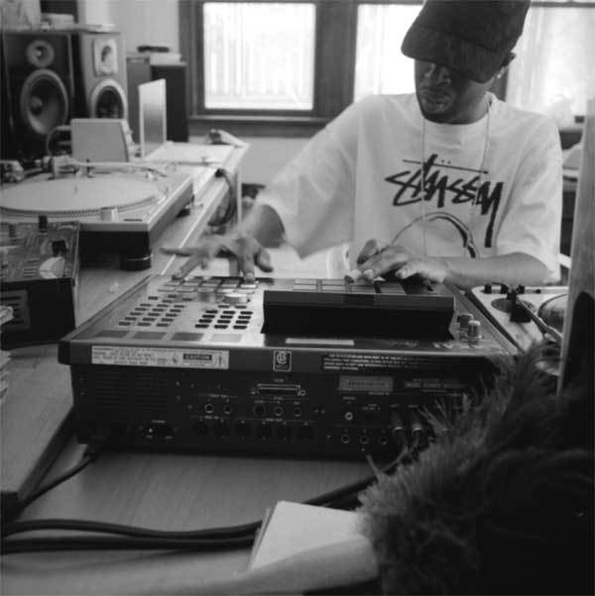 when i was figuring out sampling, he already made a beattape with Nas‘ vocals. always one to share he introduced me into proper EQ-ing, compression and mixing your own music. since we made the decision to go record digging we got the idea to do a beattape together wich is currently in the making. e-classic, MISTA MONOTONE, A Love Supreme, jp, Admbmb, philpot, DVS and much more keep me inspired to not make any wack sh*t.
4. your opinion on copyright and the sharing of music? (specifically tunes made by unsigned, under-the-radar and bedroom artists that are then shared by fans?). you wanna download all your stuff go ahead and do it. i love artwork though and reading about the process of making the album (liner notes). personally i love music and the effect of discovering new artists. every once in a while i stumble upon some new music from independent artists. if i dig it i know my folks will also dig it so i share. now if someone releases music on iTunes or Bandcamp for a buck/euro or 2 i will support it for the development of the artform. 5. the best place to listen/download/buy your tunes? and any final words you’d like to say to the Internets? well besides Soundcloud, OKP Boards and Bandcamp i would say support your local record store! shouts to my love, the fam, Okayplayer and the world! 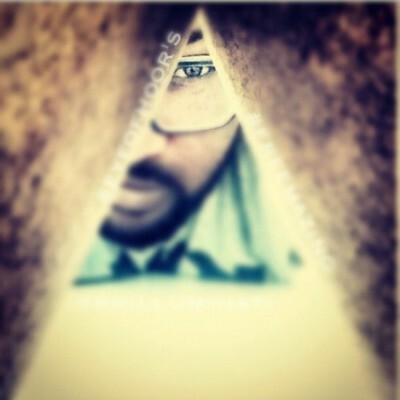 peep “Raise The Bar” on CONFESSIONS OF A CURLY MIND Vol. 1 along with 23 other golden tracks you probly ain’t heard before. 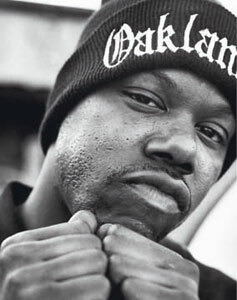 ever wondered what a Dilla x Too $hort mash-up would sound like? well wonder no more, as Mr. buildingblock (Okayplayer stalwart) delivers a blend that is sure to appease both camps, and hopefully make new fans along the way. Guile Theme Goes With Everything + Beat-Off Challenge! this is for any and all bedroom/indy/underground producers and beatheads to participate in. the rules are simple: download the mp3 link to Guile’s Theme below, use it as the sample source to make your own composition. no other sample sources are allowed, except for the use of your own kicks, hi hats & snares & any other original elements you can add without sampling another source. once ur entry is ready, email the mp3 to vahekosh@gmail.com. remember to clearly include your artist name + title of your entry. due date for submissions is March 26th. after which voting will take place for the best entrant in The Lesson (OKP). after voting is over i will compile all the entries into one album (title still to be decided) and make it available for download right here on C.O.A.C.M. excited? …NO? 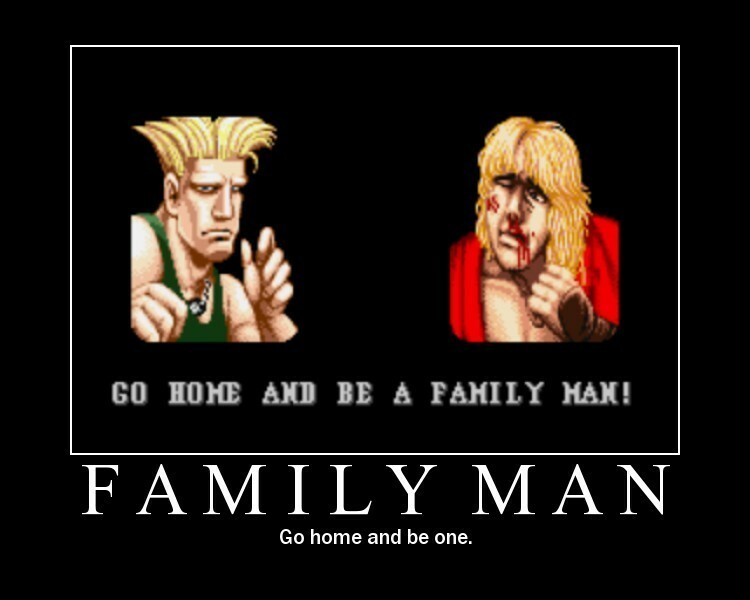 WELL WHY DON’T U GO HOME AND BE A FAMILY MAN THEN, PUNK! 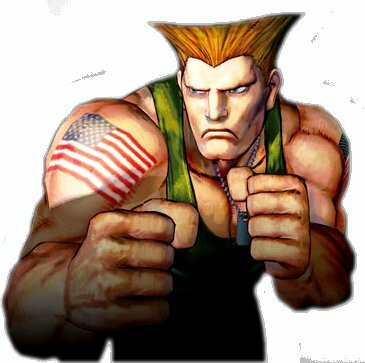 before i go, here’s a few of my fav Guile Theme Goes With Everything memes (that is until i find funnier ones). enjoy and good luck to the participants!